TO HELP US CONTINUE OUR WORK IN 2019. As California enters new territory with the opening of adult-use sales this year, Cal NORML continues its fight to secure consumers’ rights to use cannabis freely, legally, and affordably. We are glad to have made some progress with the state’s lawmakers and regulators this year, but much work remains to be done. While the year got off to a bang with the first legal sales on January 1, 2018, progress has been rocky, fraught with glitches and bottlenecks, costly new taxes and regulations, and a persistent shortage of legal outlets in many parts of the state. Many long-time medical users complain that they can no longer afford what they need nor grow it legally. 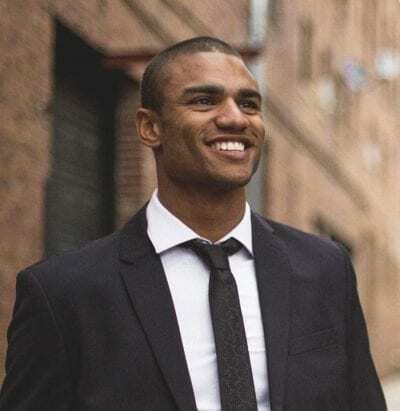 Legally licensed dispensaries and delivery services have difficulty competing against unlicensed black-market suppliers due to costly regulations and taxes. So far, existing Prop 215 collectives have enjoyed some legal protection under the state’s old SB 420 law authorizing medical cultivation collectives and cooperatives, but this will expire on Jan. 9, 2019. Crackdowns on unlicensed operators are certain thereafter, putting the squeeze on consumers who still rely on collectives and other inexpensive gray-market sources for affordable medicine. Cal NORML has been working to resolve these problems with state regulators, the legislature, and local governments this year, and will continue to do so in 2019. In response to Cal NORML’s e-mail action alerts, our members and local chapters have generated thousands of messages to state officials. Through our website and telephone hotline, and at outreach tables at events, Cal NORML provides the public and press with accurate information on marijuana, the law, medical use, drug testing, and pending reform bills. We are preparing to upgrade our site www.CaNORML.org with a new user-friendly design this coming February. • Eliminate unnecessary, cumbersome, non-recyclable, packaging at dispensaries. The BCC agreed to require only opaque exit bags starting in 2020. • Stop requiring dispensaries to collect and hold customer ID records. In the future, we’d like to eliminate mandatory ID checks entirely except for proof of age. Buying pot should be no more complicated than getting a drink at a bar or restaurant, or buying liquor in a liquor store. • Allow licensed deliveries to any residence in the state. In the legislature, we backed a bill by Sen. Lara to ban local governments from prohibiting home deliveries. When that bill failed to pass, we supported a proposal by BCC to do so via state regulations. That regulation is likely to be challenged by local governments, who claim Prop 64 gives them sweeping powers to regulate cannabis. Cal NORML attorneys disagree and argue that local delivery bans violate Prop 215. • Reduce unnecessary, costly regulations. Progress here has been slower. State product-testing requirements continue to be far stricter and costlier for marijuana (~$800 per batch) than comparable products such as food and herbal medicines. BCC has so far moved to cut some excessive regulations, but much remains to be done. On the legislative front, Cal NORML tracked some 60 cannabis-related bills in Sacramento this year. Of these, 14 were of sufficient interest for us to testify and lobby on. At the end of the day, a few good bills—and no bad ones­—became law, although many were stalled or vetoed and need to be revisited next year. We kept our members posted about the most important bills via our e-list alerts, generating nearly 5,000 messages to the legislature. For the second year in a row, we sponsored a Citizens’ Lobbying Day in Sacramento in conjunction with Americans for Safe Access, where one hundred supporters joined us to lobby on behalf of cannabis consumers in the State Capitol. • Criminal sentencing: In a major step towards eradicating past injustices of the war on marijuana, Gov. Brown signed AB 1793 by Asm. Rob Bonta to automatically expunge or correct the criminal records of prior offenders who qualify for resentencing under Prop. 64. In testimony to the legislature, Cal NORML reported that the state recorded 649,065 felony marijuana arrests from 1975 to 2016, the bulk of which should be eligible for reduction under AB 1793. • On-site consumption: Opportunities for consumption at special events were expanded by AB 2020 (Quirk), allowing events to be held at any venue permitted by local governments, rather than just county fairgrounds. We would like to see on-site consumption further expanded to everyday customers at coffeehouses, hotels, restaurants and other venues, as well as other locations where public use of tobacco and alcohol are permitted. • Drug testing and DUI: Cal NORML continues to regard stopping discriminatory drug testing for marijuana as a high priority issue. In conjunction with national NORML, Cal NORML has made it a point of following the latest scientific studies on drug testing, which have consistently shown that there exists no fixed, numerical “per se” standard for determining impairment from chemical tests for marijuana. For the seventh year in a row, Cal NORML provided key scientific testimony to the legislature to help defeat proposed “per se” drug testing thresholds for driving offenses. This year, we defeated a bill by Sen. Hill to suspend the licenses of drivers under 21 who are found to have any trace of cannabis in their system. Cal NORML was invited to sit on the California Highway Patrol’s Task Force on Drug Impaired Driving this year, which is scheduled to issue a report on drug DUI enforcement by Jan. 1, 2021. We have been encouraged so far to find that the Task Force is taking a sober view of its mandate, and seems skeptical about per se testing thresholds for impairment. In the meantime, the Center for Medicinal Cannabis Research at UCSD is conducting a driving simulator study on the effects of marijuana on driving and its measurement by blood, oral fluid, and performance testing. Cal NORML director Dale Gieringer recently visited the research facility and tried out the driving simulator. • Employment rights remain a high priority for Cal NORML. We continue to hear from workers who are wrongly dismissed on the basis of unscientific drug tests that have no relation to workplace performance. This year we sponsored AB 2069 by Asm. 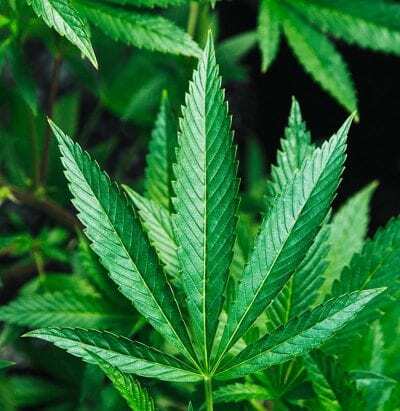 Bonta to protect workers’ right to use medical marijuana in the same way as other, legal medications under the state’s Fair Housing and Employment Act. Unfortunately, AB 2069 was stalled due to misunderstanding and confusion on the part of legislators, employers, and even some unions. Construction unions in particular objected that it might compromise safety and override drug-free workplace agreements. We intend to continue pressing this issue next year in light of growing evidence that medical cannabis is safer than other drugs that workers are allowed to use, in particular prescription opiates. In the longer run, we would like to see urine and hair testing for marijuana abolished for all Americans who use marijuana, not just medical users. • Taxation remains an ongoing sore point for consumers. Dispensary prices have jumped since Jan. 1 on account of the new Prop 64 taxes, which include a 15% excise tax on sales plus $9.25 per ounce on cultivation, as well as the standard state sales tax of 8-9%, and local taxes sometimes approaching 10%. Between state and local taxes, California has the highest tax rate on cannabis of any legal state. As a result, the legal market has been hard pressed to compete with black-market alternatives, and many needy medical patients complain they can no longer afford their medicine. This year, we supported AB 3157 by Asm. Tom Lackey, Rob Bonta and others, to temporarily cut the tax rates for cannabis so as to let the legal market better compete with unlicensed supplies. Although that bill failed in the legislature due to concerns over its budgetary impact, we will continue to press on this issue. In particular, we strongly support eliminating taxes on medical sales, such as the 15% excise tax, and capping the tax rate of local governments. We are happy to note that competitive pressures have begun to induce some local governments to scale back their tax rates, including Berkeley. • Compassion programs for needy patients remain in jeopardy. Ever since the passage of Prop. 215, it has been the practice of many providers to donate a portion of their product free of charge to needy patients through charitable compassion programs. These programs are now threatened by Prop. 64, which requires that all donations be taxed at the same rate as if they were sold. Thus every pound of cannabis which is donated free of charge to legal patients is liable for nearly $1000 in state taxes. This year, Cal NORML worked with Sen. Scott Wiener’s office on a bill, SB 829, to exempt compassion programs from taxes. Although the bill didn’t go as far as we would have liked, it passed the legislature only to be perversely vetoed by Gov. Brown. Sen. Wiener is going to reintroduce his bill this December. Further legislation may be necessary to fully protect patients’ rights to “safe and affordable” medicine under Prop 215. • Cannabis as a safer opiate substitute. Mounting evidence shows that medical cannabis can be an effective “harm reduction” substitute for prescription opioids in the treatment of chronic pain. Over two dozens studies involving thousands of subjects have found lower levels of opioid abuse and mortality among chronic pain patients who use cannabis. Nonetheless, Cal NORML continues to receive complaints from pain patients around the state who have been denied treatment by their medical providers for using or testing positive for medical cannabis. We have been seeking to get the legislature to pass a bill outlawing discrimination against cannabis use by pain patients, in the same way as it passed a bill banning discrimination against organ transplant patients who use medical cannabis in 2015. Unfortunately, we have so far been stymied by opposition from vested interests in organized medicine. In light of the national opiate crisis, Cal NORML regards this as a priority issue, and are working to publicize it in conjunction with national NORML’s Deputy Director, Paul Armentano, a widely published expert on cannabis science. • Medical cannabis at schools: Prop 64 continues to ban the presence of medical cannabis at schools, even though many seriously ill children depend on cannabis oils and extracts to treat severe epilepsy and other conditions. This year we supported a bill by Sen. Hill, SB 1127, to let parents administer medical cannabis to their children at school, but it was vetoed by Gov. Brown, who thought it should apply only to epilepsy patients. • CBD: A growing variety of CBD (cannabidiol) products are now being marketed in health food stores and pharmacies nationwide, derived from the oil of hemp plants produced out of state. Although they are widely sold in California, the state health department recently determined that they are not actually legal under state law. Cal NORML believes this decision was misguided but can be corrected if, as expected, hemp oil is legalized under pending federal legislation. Many pressing issues, such as lack of licensed dispensaries and businesses, inadequate consumption spaces, restrictions on personal cultivation, and excessive taxes, are due to negligence or hostility on the part of local city and county governments. Cal NORML fields innumerable inquiries about local laws from activists, chapters, and affiliates around the state, and empowers them to advocate for better policies, including helping with the formation of local NORML chapters. A new ruling from San Bernardino County Superior Court strikes down parts of a City of Fontana ordinance placing restrictions on residential marijuana growers. The ruling is the result of a lawsuit filed against the city by the Drug Policy Alliance and the ACLU at the urging of Cal NORML. The filing of the suit likely prevented other jurisdictions from passing similarly restrictive ordinances, and going forward cities and counties will be re-evaluating their policies. 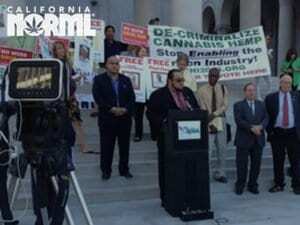 Contact Cal NORML about taking action locally to protect your rights under Prop. 64. Cal NORML has a legal committee of over one hundred attorneys with expertise in different aspects of cannabis law. For the third year in a row, we are sponsoring a legal conference in Oakland on February 9, 2019. This year our legal committee chair, Bill Panzer, won an appellate decision, People v Ahmed, ruling that compliance with local regulations is not required to protect medical marijuana defendants from criminal prosecution under the state Medical Marijuana Program Act (SB 420). Before every national election, Cal NORML publishes a California Voter’s Guide on cannabis issues in conjunction with the Drug Policy Forum of California (DPFCA) and our national office. Included are the voting records of every California legislator in the State Assembly, Senate, and Congress on cannabis-related issues. We are happy to note that this year’s election boosted the number of cannabis-friendly representatives to record numbers in California’s Congressional delegation. The overriding obstacle to complete legalization remains the continued illegality of cannabis under federal law. Legalization at the federal level has been NORML’s ultimate goal since its founding in 1970. Our national office is now deeply engaged in efforts to reform federal laws and has been instrumental in organizing a Congressional Cannabis Caucus to focus on the issue. A record number of reform bills were submitted in the past Congress with bipartisan support, and a majority of members seem inclined to vote favorably but were stifled by conservative leaders this year. The election of new pro-reform leaders in the House, plus voters’ record 60+ % approval for legalization in public opinion polls, makes the next year ripe for meaningful reform legislation. Cal NORML will be supporting these efforts with internet action alerts to our subscribers urging them to contact their Congressmembers on important legislation. We also participate in the national NORML lobby day, at which Cal NORML’s director Dale Gieringer accepted a Lifetime Achievement Award this year from NORML founder Keith Stroup. Protecting State Laws: One of the simplest and most urgent measures would be to protect states with legal cannabis laws from federal interference. A promising bill to do so is the STATES Act by Sen. Elizabeth Warren (MA) and Cory Gardner (CO), which would make actions that are legal under state marijuana regulations also legal under federal law. De-Scheduling: Beyond this, removing marijuana from the federal list of controlled substances would effectively legalize marijuana at the national level. Politically, this is a heavier lift than the STATES Act since it would also affect states that now prohibit marijuana. NORML has been working with Congressional staff on various broad de-scheduling and legalization bills, such as the Marijuana Justice Act by Sen. Cory Booker (NJ) and Rep. Barbara Lee (Oakland) and the Marijuana Freedom and Opportunity Act by Sen. Schumer (NY). Banking Services: It’s widely agreed that federal banking laws must be changed to let banks deal more freely with cannabis businesses, which are now generally compelled to deal in cash instead. It is unclear whether the STATES Act would accomplish this. A bill to do so, the SAFE Banking Act, is co-sponsored by Sen. Kamala Harris. 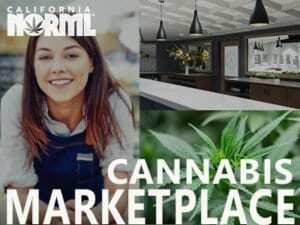 In the state legislature, Cal NORML supported a bill by Sen. Hertzberg (Van Nuys) to establish special state-chartered banks to serve the cannabis industry, but it failed due to doubts about its practicality. Cannabis Research: So long as cannabis remains a Schedule One substance, federal laws forbids licensed researchers from working with cannabis sources that are not DEA-approved. This has made it impossible for researchers to investigate the innumerable state-licensed cannabis products now available in California and elsewhere. 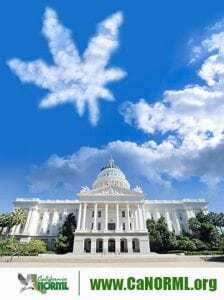 A number of research bills are in Congress, and California NORML has been supporting state legislation to let California’s Center for Medicinal Cannabis Research cultivate cannabis for its own research purposes. California NORML has sponsored medical cannabis studies in the past, and our director, Dale Gieringer, is a member of the CMCR national advisory board. Veterans’ Access: In the absence of rescheduling, the Veterans Administration is precluded from treating veterans with medical cannabis. This year, the House Veterans’ Committee approved a VA Medicinal Cannabis Research Act co-sponsored by Rep. Lou Correa (Santa Ana), but it wasn’t allowed a floor vote. Travel Rights: Federal law continues to forbid entry to the U.S. of persons known to have used or trafficked in marijuana. Rep. Correa has proposed addressing this in the next Congress. Gun Rights: Marijuana users are forbidden to purchase firearms under federal law. In the absence of federal legalization, specific legislation will be required to fix this. PLEASE JOIN CALIFORNIA NORML OR RENEW YOUR MEMBERSHIP TO HELP US KEEP FIGHTING ON ALL THESE FRONTS IN 2019. 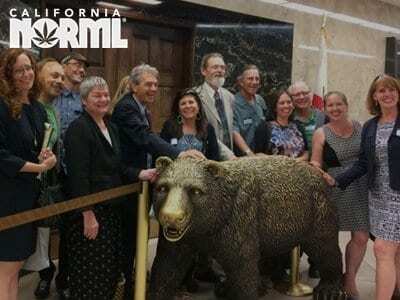 Read more about Cal NORML and our goals.